On this crisp autumn Thursday, perhaps you or someone you love are managing sore throat, nausea, headache, nasal congestion, body ache, or a some combination of these nasty symptoms. Let’s go on the offensive! Today on LivingFuelTV, we present some simple, practical, innovative and natural strategies that have worked effectively to blunt the impact and duration of the cold/flu in my own family as well as thousands of others. Click on the graphic below to watch. And consider forwarding the episode to your doctor or someone you know battling a cold this week. KC Craichy’s SuperHealth Podcast: Surviving The Candy Land Mine! Once a rare treat, sugar is now a dietary staple in modern society. Today, mountains of research clearly show that sugar suppresses the body’s immune system, spikes insulin levels, slows the release of growth hormones, and triggers hunger, weight gain, and dental cavities, just to name a few of the ways that sugar can be destructive to your family’s health. And this week brings us Halloween, the annual candy-fest that you can actually use as a “sweet” opportunity to teach your children lessons in health and nutrition. 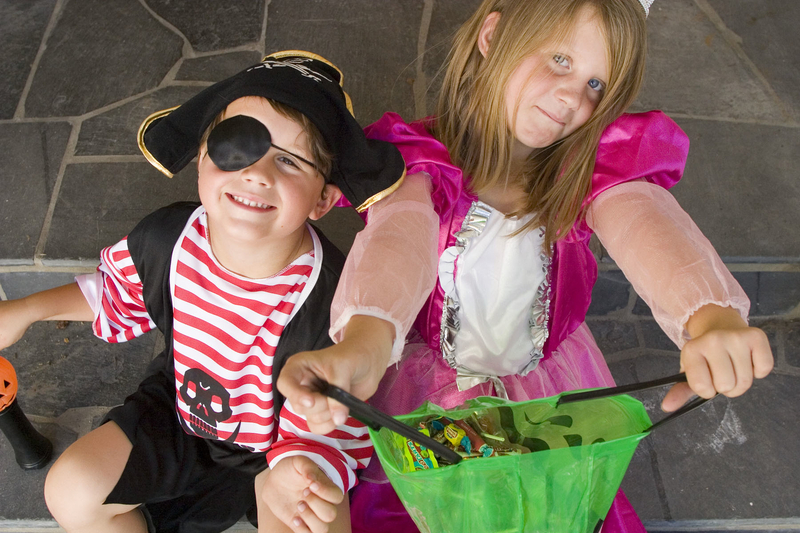 With a little planning and foresight, you can help your kids manage their Halloween spoils, moderate their sugar consumption and impart some terrific nutritional good sense in the process! Join us as we share suggestions to help take the trick out of their treats. Click on the podcast button below to listen. HealthAlert: Surviving the Candy Land Mines! And next week brings us Halloween, the annual candy-fest that you can actually use as a “sweet” opportunity to teach your children lessons in health and nutrition. 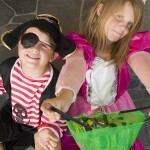 With a little planning and foresight, you can help your kids manage their Halloween spoils, moderate their sugar consumption and impart some terrific nutritional good sense in the process! Today on LivingFuelTV, join us as we share suggestions to help take the trick out of their treats. Click on the graphic below to watch. of the foods in your diet. KC and Monica Craichy discuss their family’s choice of protein powder and essential amino acids, and how the remarkable benefits can catapult you and your family to Super Health. to the sun’s UV rays on our skin triggers the beautiful synthesis (production) of Vitamin D in our body. scientific research on Vitamin D, this century’s Vitamin C.
How do you know if you, or someone you love, is one of the millions dangerously deficient in this critical nutrient? your family’s good health? We answer these questions and much more. Click on the graphic below to watch today’s must-see episode. Living Fuel’s flagship product, LivingFuel SuperGreens, remains a bestseller, and for good reason. The tremendous nutritional power of dark green vegetables cannot be understated and is supported by countless clinical studies. Spinach, kale, broccoli, barley grass leaf and spirulina are some of nature’s high-impact superfoods and are included in LivingFuel SuperGreens. Here’s a terrific recipe straight from Living Fuel Founder KC Craichy’s new book The Super Health Diet: The Last Diet You Will Ever Need! This SuperSmoothie features LivingFuel SuperGreens and LivingFuel LivingProtein and fuels you with 283 calories, 27 grams of protein and 12 grams of fiber. Do you have a favorite recipe with any great Living Fuel product? Share it with us and we’ll post it to our enhanced Recipes page! E-mail us at info@livingfuel.com or post to the Living Fuel Facebook Page. You’ll find this recipe on page 320 of Living Fuel Founder KC Craichy’s new book The Super Health Diet: The Last Diet You Will Ever Need! It’s one of 23 great SuperSmoothie recipes you’ll find in the book! Once a rare treat, sugar is now a dietary staple in modern society. Today, mountains of research clearly show that sugar suppresses the body’s immune system, spikes insulin levels, surpresses the release of growth hormones and triggers hunger, weight gain and dental cavities, just to name a few of the ways that sugar can be destructive to your family’s health. LivingFuel HealthUpdate: Fountain of Youth! There is no lack of nutritional information these days. Google “nutrition” and, in a fraction of a second, you’ll receive 103,000,000 results quite literally at your fingertips. So how do we condense this information (much of it useful, but some of it misleading) and slice through the hype and hyperbole? Is there a cohesive, simple, and effective program that hundreds of qualified researchers and top health professionals endorse? In my book Super Health: 7 Golden Keys to Unlock Lifelong Vitality, I present The Four Corners of Optimal Nutrition, one of the most well-researched nutritional concepts in existence, supported by over 3,000 individual research studies. What’s unique about the Four Corners philosophy is that the individual components are integrated into a unified theory, providing a comprehensive foundation for new levels of health awareness and life enhancement. Today on LivingFuelTV, we discuss The Four Corners of Optimal Nutrition–the guiding nutritional philosophy behind all we do at Living Fuel. Click here to watch and learn more.